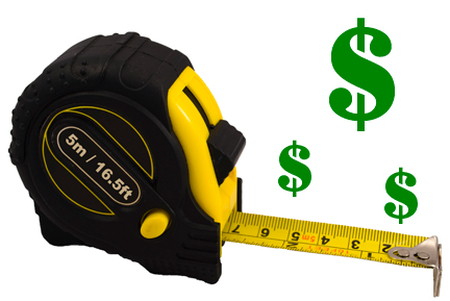 The biggest point when buying a new home always comes down to cost per square foot. Cost per square foot works great on TV shows. However, when it comes to a unique home, they provide only a little relationship to what is real. Suppose you were thinking of ordering a car to fit your ideas and needs. The price per pound estimate might be o.k. for taking pictures or the cost per passenger seat might be an overall nice figure. Would you take that information and go to the bank to set up the loan? Unless your pockets are very deep, you need to do your homework. Estimates are only guesses with absolutely no guarantees. You need real figures to work from and then calculate a margin for price and cost increase. It is very doable to act as the general contractor and to do a lot of the actual work but opening several charge accounts with suppliers is not the way to start out. To earn the money saved by doing your own contracting you must do the work that the contractor gets paid for. Therefore, you need to plan and price everything out well before you start talking to the builder. This way you are less likely to change anything once the project is underway. It also gives you a good idea of what everything will cost so when the builder says, for example, he is giving you an allowance of $5000 for all plumbing fixtures then you will be able to determine if it is realistic or not or maybe even too high. Where people usually get into trouble is the lack of planning, poor communication with the builder, changing things after the work has begun, etc. The best outcome is a plan so well thought out that no changes had to be made to it throughout the project. Make sure you write a solid one that spells out everything that they are supplying and doing to earn that money and then hold them to it. Don’t let them get ahead of you in money and make sure to leave yourself a clause that they can be terminated for breach of contract terms without further payment. I know some builders will probably say why the contract has to be so thick and complicated but if they are reputable, they wouldn’t have to worry about it. Would they? The following is only a part of what you must know when you start: Cost of site prep, excavation, foundations, frame, exterior finish, wiring, plumbing, heating & AC, interior finish, millwork, cabinets, landscaping. Suppose you choose the doors and windows and get a delivered price. Later you find a better deal or decide the style is not good for you. You can make changes, but you will know what your starting point is and when you are moving away from the plan. If I were to suggest that you set a figure of $8,700 for those windows, what kind of starting point is that? Unless you have the information and decisions backing that decision you can end up in trouble. You must have fixed prices to work from. Then because things will change over the next few months, you will have to massage the pricing and arrangements to fit. If you don’t start with solid local prices your experience will be tough. How much will my house in Southern Ontario cost per square foot? Pricing New Homes Per Square Foot: What No One Is Talking About How Much Will a Home Built With Insulated Concrete Forms Cost? The Cost of Home Building – Dreaming of Building a New Home, but Worried About the Expense?